Mobile Customer Service, That Changes Everything | The Taylor Reach Group Inc.
Each year the pundits, experts and devil advocates, trot out their expectations and list of trends of what we should expect to see impacting our lives in the coming year. As I have been described by one or more of these labels on many occasions as well as being described by a few less flattering terms, I feel well qualified and compelled to join the fray. I often think that a single year is much to narrow a time frame for many trends and shifts to emerge. This is a contributing factor to why the same trends, emerging technologies and new ways of doing things repeat on the lists year after year. I remember reading in the early 90’s that CTI (Computer Telephony Integration) was going to revolutionize the contact center industry. I kept reading about it every year for about 5 years. In fact it took close to 15 years before CTI became ubiquitous. Some of the repeating trends, like CTI cited above, take some time to truly arrive, they appear on these lists year after year like an unrequited love. My nominee for the Unrequited Love award this year goes to Zero Service. The belief, to which I subscribe, that the best service is no service at all. That is to say, that a company will not need to offer a contact center or First Contact Resolution, because they anticipate all of our wants, needs, and challenges. They have eliminated these barriers to a perfect customer experience. From my perspective, while every year service gets better and better, I think this psychic level of service is still off in the future. Other trends appear annually because they are not single ‘events’ that we can watch arrive and declare “It’s here”. Rather these trends represent a fundamental change in the world order. 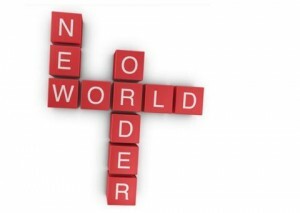 Social media is an example of this ‘new world order’ magnitude, it simply changed everything. This year the candidate I would suggest is Mobile. Today, 70% of contact center interactions originate on smartphones. Mobile quite simply can change everything…how we shop, buy, complain and entertain ourselves. Organizations need to ensure that the customer facing landscape they create supports and embraces mobile. If we make it hard for our customers or prospects to deal with us, they may just choose to deal with one of our competitors. When I look at the trends that will impact contact center and customer service organizations in 2015, I must lead off with Mobile for the reasons stated above. The key challenge when looking at mobile in customer service call centers is to determine what the service delivery should be. What do you want a customer to be able to do on the smartphone, within the app and when do we want to have a ‘human to human’ interaction? Its not just about creating a mobile app. Forcing automation where human interaction will be faster and/or more effective, doesn’t make sense, if we are looking to build a long-term customer relationship and to maximize the customer experience. According to Gartner 60% of customer service interactions required human intervention in 2014. Further they expect this figure to drop by half in 24 months. With only 30% of customer service interactions requiring the human ‘touch’ in 2017, how do we ensure that we automate the ‘right’ interactions? For my money, emotional connections build customer loyalty and automation can reduce customer effort. The human touch will be required where automation isn’t desirable or where there is emotional capital available. These are interactions that build relationships, create emotional bonds, and deliver the desired customer experience.